Radio Tray may be the best way to keep on listening to the radio in the 21st century. 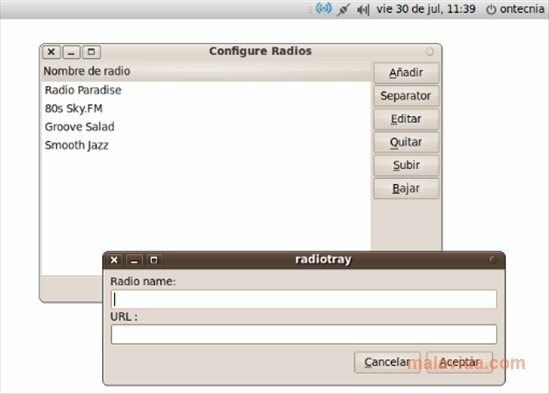 The radio has learnt how to adapt to the preferences of the users, who nowadays are usually working on the computer and are connected to the Internet, so as to offer broadcasts via streaming with a lot more quality than that of the AM and FM waves. 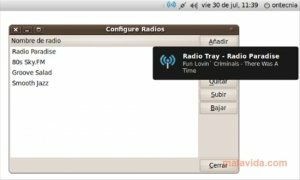 So there aren't few listeners that prefer to tune in to their favorite programs with Radio Tray. This software is a really small player that is launched directly from the system tray so as to hardly use any memory or bother the user with large interfaces. We will simply have a radio list in which we will select our favorite broadcasts. With the added possibility to modify any data, add and eliminate stations. On the other hand, Radio Tray will make sure of showing us notifications depending on what we are listening to as soon as it receives them via streaming. 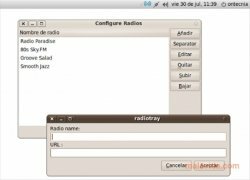 All in all, if you are an eager radio listener, you will like Radio Tray as it will allow you to get rid of your old radio and receive your favorite broadcasts with digital quality. The download is compatible with Debian/Ubuntu systems.